I am a huge sports fan and I grew up in and currently live in the San Francisco Bay Area. So, of course, I am cheering for the Golden State Warriors in their playoff series against the Los Angeles Clippers. I wish I could enjoy the excitement of NBA Playoff Basketball without the ugly reality of racism intruding into my fandom. But then Donald Sterling happened. 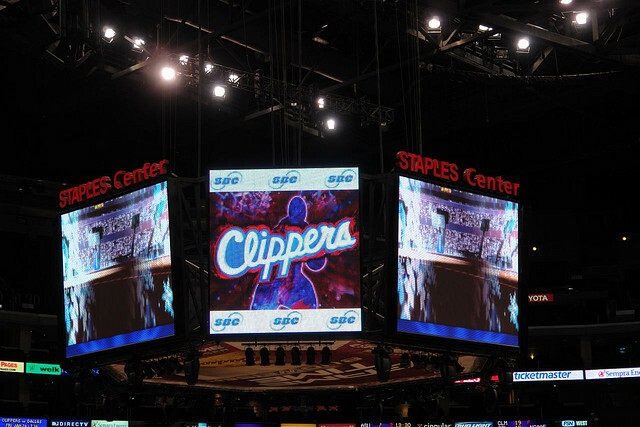 For the few people on the Internet who haven’t heard yet, the owner of the Los Angeles Clippers had an hour’s worth of epic racist (and sexist) ranting recorded in what he thought was a private conversation with a “close female friend.” In the recording, Sterling told his female friend not to bring black people with her to Clipper games and not to post pictures of herself with black people on Instagram, among other outrageous statements. Los Angeles fair housing and tenant’s rights advocates have had this guy’s number for years. Their lawsuits against him have been a matter of public record for at least a decade. I first started hearing things about Donald Sterling and housing discrimination in the late 1990s. But this is roughly when I first started paying closer attention to housing issues in Los Angeles. I am sure the scuttlebutt on him goes much further back. Why did this story catch fire now, when Sterling’s similarly racist statements have been public (albeit limited) knowledge for so long? Part of the reason is that the current revelation of racist-speak came packaged with the salaciousness of a relationship with a woman young enough to be Sterling’s granddaughter. I can’t help but think who the messenger is affects the reception of the story. It’s twisted, but I think that the American public is more likely to believe and pass along something that comes from a sensationalistic, hype-mongering, paparazzi-infused, online rag like TMZ than to take seriously the messaging of housing/civil rights activists. The perception is that activists are uppity and always complaining and trying to guilt us into doing something. Rabble rousing about racism is just not newsworthy. At least not until it becomes gossip and then it burns through the public square like wildfire. Or maybe I’ve got it wrong. Maybe it’s something more about how we activist-types don’t know yet how to best use social media to create memes and spread our version of the facts far and wide. Or maybe it’s something about the randomness of a frenzied infotainment cycle amidst the dying throes of old media dinosaurs in a postmodern, post-post-racial world. Or maybe it’s all of the above plus more. I don’t know. All I know is that I am angry that Donald Sterling’s racism was not a bigger story earlier, that it only became news when it became more insubstantial. On one hand, every time a Donald Sterling or a Paula Dean sticks a foot in their mouth, it is visceral evidence that racism still exists. A lot of us who care about race and racism try to use these high profile celebrity PR gaffes as teachable moments. I can’t fault this. I’m doing it right now. But, on the other hand, I feel like we lose something by making these types of incidents as emblematic of the persistence of racism in America. The true evil of racism isn’t in the outrageous things that random high profile people get caught saying every once in a while, but in the millions upon millions of things institutions, corporations, governments and most people do every day—some of us do things maliciously but some of us do things negligently, even benignly. It’s about how our actions and decisions—some of them big, some of them small—reproduce a largely invisible system of power, policies, and everyday practices that can only be fully seen by its shadow. The full picture of racism is seen in racialized and starkly different results in wealth and poverty, in crime and punishment, in sickness and health, etc. Racism is systemic and active and not all of it happens in our conscious minds. Hateful remarks are only the tip of the iceberg. By focusing on outrageous remarks of individuals, we allow people to mistake the absence of explicit, racist speech as the presence of justice or to mistake the punishment of an individual bad actor, like Sterling, as evidence of meaningful progress. I would rather combat racism on the level of systems and outcomes. I believe that we should practice models of highlighting racism that are not so dependent upon outrage over an individual’s racist speech. I’m fine with the indignation and the calls for censuring Sterling or whomever the next poster boy is. But let’s not forget about the bigger picture of racism or about the struggles for social and economic injustice, more broadly. Let’s realize that the fight for justice doesn’t begin nor end with policing speech. Because I have a particular interest in model minority mythology and calling out anti–Asian-American Pacific Islander racism, I can’t let this pass unremarked. In the midst of all the hype and hoopla, it was funny (not ha-ha funny) to see Donald Sterling’s remarks about Korean Americans (re)surfaced. Many media outlets latched on to Sterling’s quotes about preferring to rent to Koreans (sic) because they don’t complain as much about the conditions of their housing. In other words, he likes Korean Americans because they’re easier to exploit. Of all the crazy things that Sterling has said and is alleged to have said, I don’t know what makes this particular set of quotes compelling to pull out and report on. But for me, it points out how the notions of “model” minority and “problem” minority are inextricably linked in the racist imagination and that nobody branded as either model minority or problem minority benefits from either label. It also seems a bit irresponsible to let stand the perception that Koreans (and by extension, other AAPIs) have some sort of leg up in the residential housing market when there is a pretty big body of evidence that Koreans and AAPIs have to deal with significant housing discrimination.